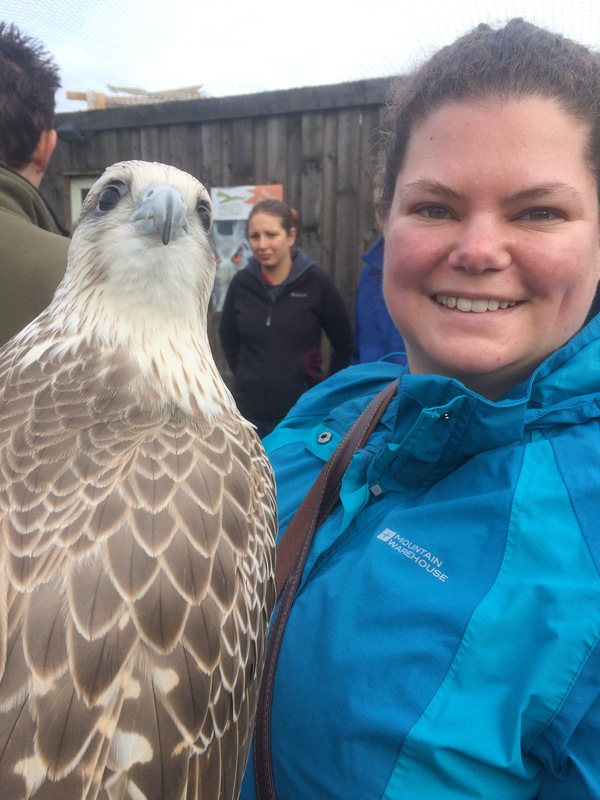 For our “F” alphabet date it had to be Falconry. 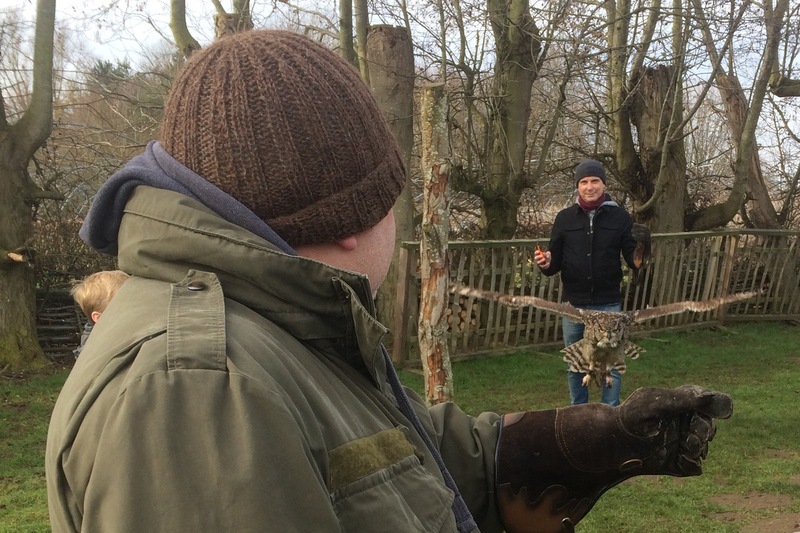 We both love birds of prey and have been on birds of prey handling experiences before. 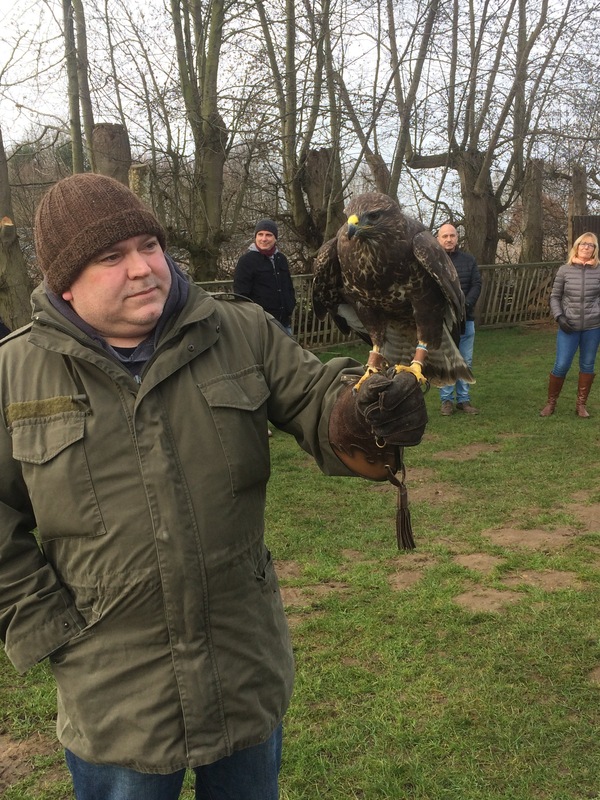 Now, strictly this was not falconry, as we were not hunting with the birds of prey, but it was at a Falconry centre and we met falcons, so I figure it counts! 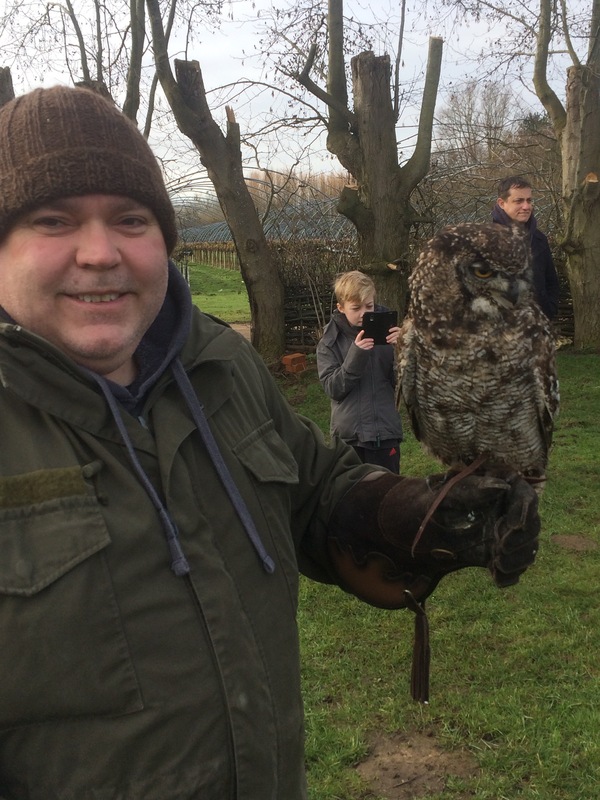 We went to Millets Farm Falconry Centre in Oxfordshire for this date, bright and early this morning we left home to arrive for a 9am start to the half day experience. As we waited for everyone to arrive we were able to admire some of the amazing birds on show, the centre has 90 birds in total, including these two beautiful creatures, a tawny eagle and a bald eagle. The tawny eagle was barking at us, a very odd call for a bird of prey. 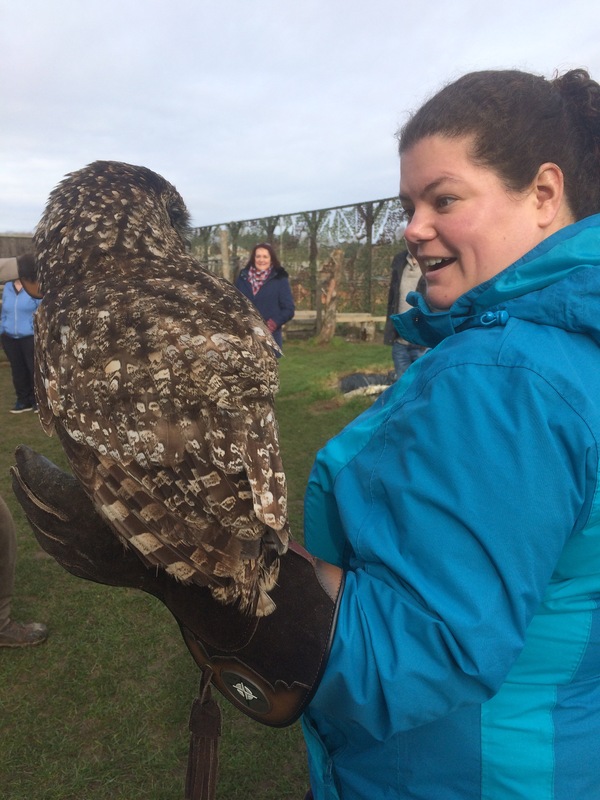 We started the experience by handling some of the birds of prey on the glove and learning more about them. The first birds we met were two young lanner falcons, two saker x gyr falcons and a saker falcon. They were beautiful birds and it was fantastic to see them so close and learn more about where they come from and their speeds and temperaments. Having learnt about these birds, it was time to see some of the collection in action, so we headed for the flying arena to fly the birds to our gloved hands. What an amazing experience to see the birds in flight, feel the air as their wings pass you and even, for Phil, have a kestrel land on your head, which she took a fancy to in preference to my glove (no picture sadly, it happened too fast!). We took a break for a coffee and had the opportunity to watch the centre’s family of meerkats being fed. Mum, Dad and three pups, called Harry, Ron and Hermione. Dad was on guard, while the babies begged for more food from the keeper. Then it was back to the flying arena for a smaller group of us there for the 1/2 day experience rather than the two hour, to meet and fly some more birds. This little guy was one of our favourites, an owl with piercing orange eyes by the name of Megatron. Our own flying experience over, we stayed to watch one of the centre’s flying displays. We loved seeing this very intelligent Cara Cara hunt out food from under buckets, in a bin and ducking and diving under seats and flying low overhead above the delighted audience. He was a real character. We were also able to get a really good look at the birds in flight as they soared around the arena. Having treated us to an amazing display of stopping and diving as the falconer swung the lure, this young lanner was not going to let the lure go without a fair exchange and was mantling to protect his food. As we made our way back through the centre it was fabulous to see such an array of beautiful birds in clean and well kept aviaries. We really enjoyed this date, fabulous birds and lots of fun! For an F date fencing could be fun (the type with foils and en guarde, not putting up a fence! 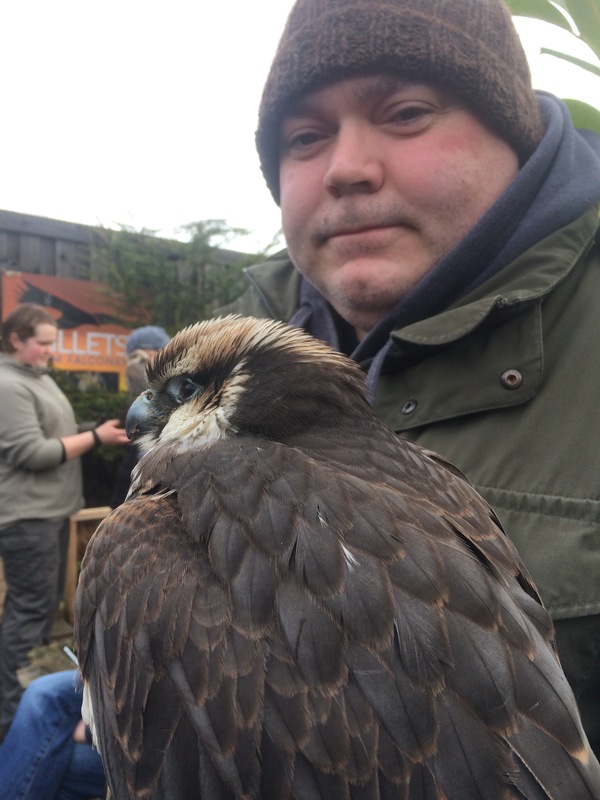 ), we could have gone fishing, visited a farm or even taken a flight together, but as soon as I started planning the alphabet dates I knew that for us, F was for falconry! What would you do for a “F” alphabet date? Have you ever flown birds of prey? I’d love to hear your experiences. Thanks Mum, we had a great time, I love seeing the birds so close! I love birds of prey, this looks a fantastic date! It was a lot of fun, it’s such a thrill to be so close to these amazing creatures!